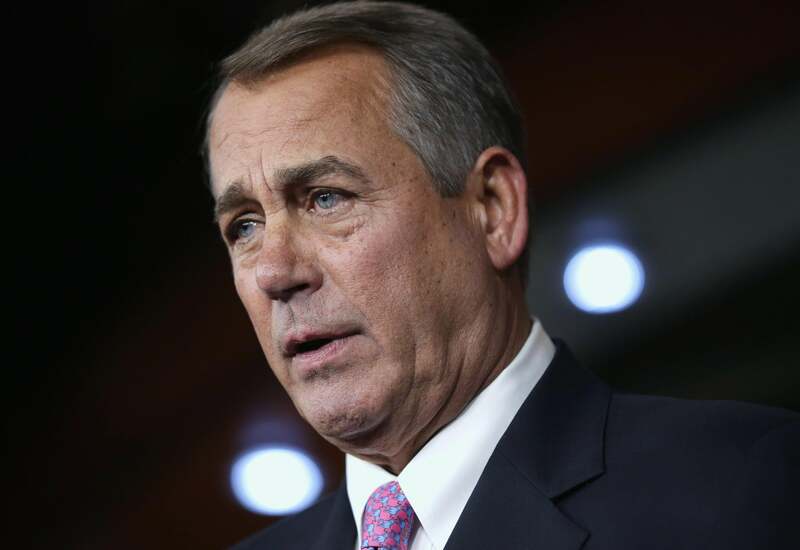 House Republicans give up on debt limit, like everyone knew they would. Boehner rules! But the “Boehner rule” is over. As expected, the failure of 217* Republicans to agree on demands has ended in total surrender and a clean debt limit bill. They’ll put it up and expect victorious Democrats to join a few dozen Republicans, and pass it. Spoiler: It does. This isn’t even a fun or surprising story—it’s a tale of the White House winning a 2013 showdown with Republicans, and of Republicans going on to convince themselves that they should take the loss and try to win the 2014 elections. Yes, at last month’s House Republican retreat, the party was talking about some revised demands for the debt limit negotations. But they were also told by columnists and pollsters that the 2013 government shutdown had been a disaster for them, and that repeating it would weaken them in November. *Given the three vacancies in the House, the majority needs one fewer vote than usual to pass a bill. **”Or reforms” was added later.